The first three months of the year are the busiest time for planning home renovations. If your spring renovation plans involve larger projects, it can pay to refinance your mortgage, which allows you to get the very best borrowing rates by using the equity in your home. A mortgage refinance will allow you to spread your payments over a longer period of time than with a line of credit. You may also be able to consolidate a range of higher interest borrowings (credit cards and car payments, for example) at the time of your mortgage refinancing. 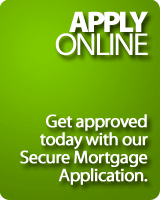 We can look carefully at your financing needs and advise on how best to secure additional mortgage funding. If you take the time now to establish a clear idea of the improvements to your home and how you will pay for them, you could be putting those plans into action by the time warmer weather finally arrives. Ideally, a well-planned renovation can boost both your enjoyment of your home and its equity.